South Indian Bank has declared the South Indian Bank PO Result 2018 after conduction of Online Examination. The bank has held the examination for the recruitment of 150 candidates on the post of Probationary Officer in South Indian Bank. The recruitment is broken down into three tests, i.e. Online Examination, GD & PI. The candidates who appeared in the examination are to check the South Indian Bank PO Result 2018 form the official website at www.southindianbank.com. To get the result the candidates have to enter Registration / Roll Number and Password / Date of Birth on the official website of Bank. At last after the conduction of all recruitment test Bank will release the final result, which will disclose the names of the fortunate candidates. 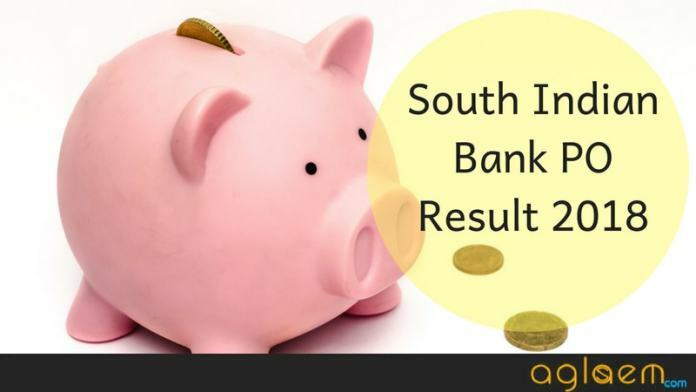 Read more about South Indian Bank PO Result 2018 on this page such as the process of checking the result, Salary, probation Period etc. 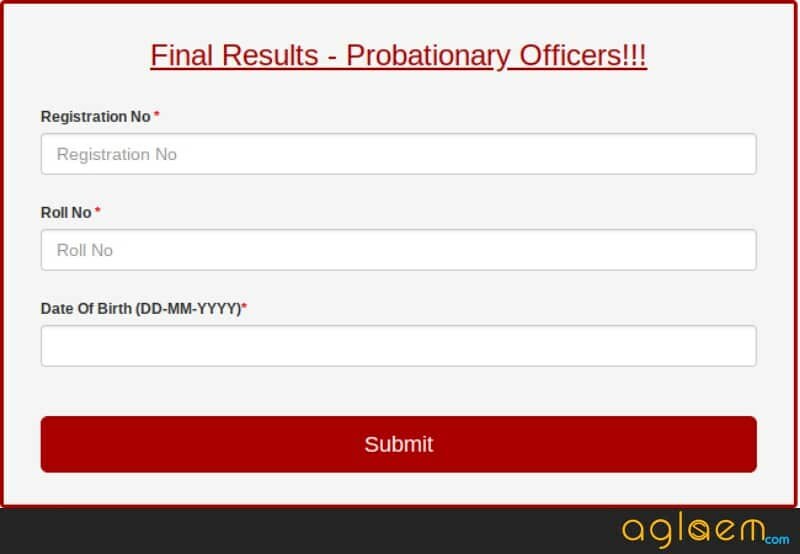 Latest: The final result for South Indian Bank PO recruitment has been released. Scroll down to check the same. The candidates should note one thing that there is not any secondary method will be available to check the result. They have to check it online. However, we do not have the dates for Online Examination till now. But as soon as bank releases them we will update the page here. 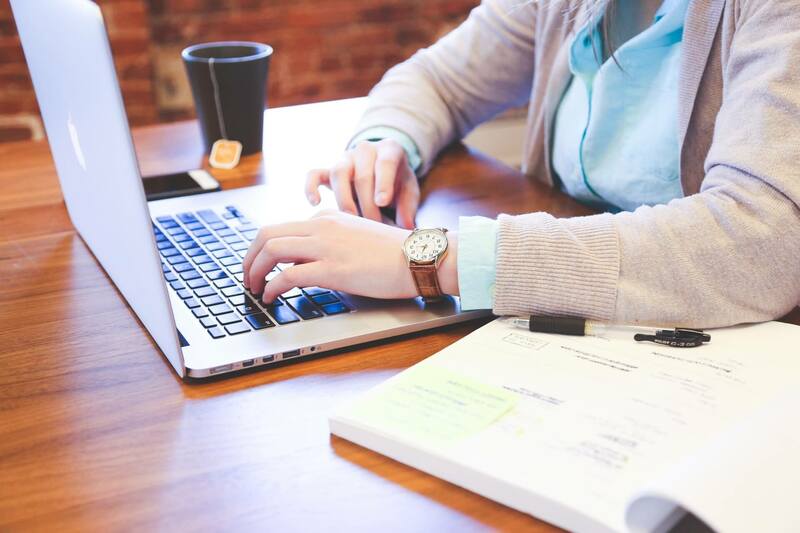 The first stage of recruitment is the Online examination. After completion of the online examination, the candidates will able to check the result from this page. As we will update a direct link to Result here. Check the step of getting the result here. How to Check South Indian Bank PO Result 2018? To download the Admit card kindly follow the instructions. First of all click on the above link. The link will redirect to Result page instantly. After reaching on the official website you have to provide the login credentials there, credentials in the sense, Registration / Roll Number and Password / Date of Birth. Now the Result page will open. Download it if you desire so. After conduction of Online Examination, the selected candidates have to appear for the GD & PI. However, the conduction of GD& PI is purely dependent of Bank. If Bank will conduct the GD & PI the Online examination will act as the screening test. So the details regarding this will be updated here in near future. At the last bank will prepare the Final merit list, this list will ensure the selection of the candidates. Bank will prepare the merit list after calculating combined marks in Online Examination, Group Discussion, and Personal Interview. So that means a candidate has to perform well in each of the rounds separately. However, it is beneficial for the candidates, that Bank will prepare the merit list after calculating the marks obtained in all rounds. Because if anybody fails to perform well in any round then he /she could do better in next round and the flaw will cover. After publicization of Final Merit list, the bank will give the confirmation to the selected candidates. The candidates will be put for the probation period of 02 years initially. On successful completion of probation leads to final confirmation as a Probationary Officer in South Indian Bank. After final selection, the candidates will get the salary as approved by IBA i.e. the pay scale of Rs. 23700– 980/7 – 30560- 1145/2 – 32850- 1310/7 – 42020 plus DA, HRA & other allowances approved by Indian Banking Association. 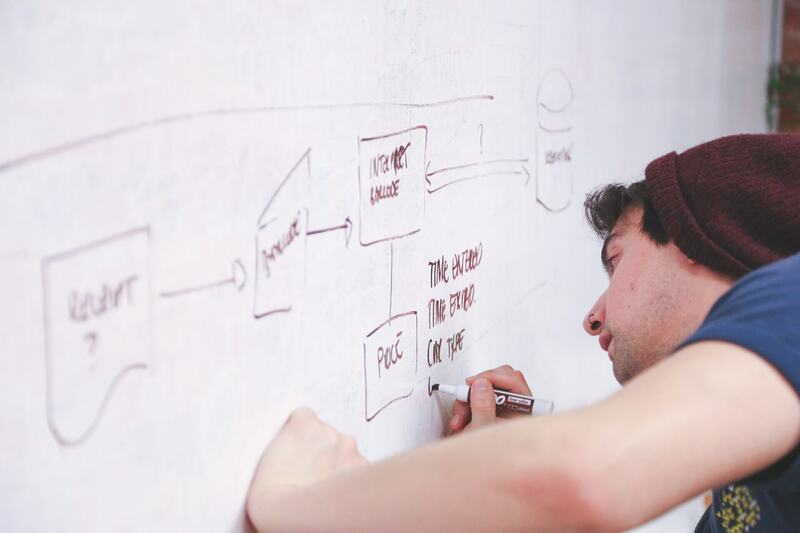 After selection, all the selected candidates have to produce the Agreement Certificate to the effect that they will serve the Bank for a minimum period of three 03 years. 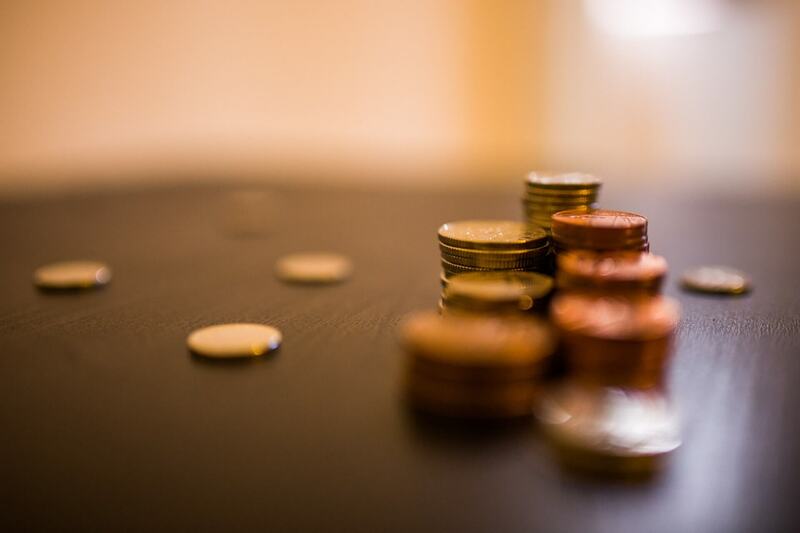 If any candidate leaves the job for whatsoever reason he/she has to provide the compensation for liquidated damages as in the Sum of Rs. 1,50,000/- (Rupees One Lakh Fifty Thousand only). This is all about the South Indian Bank PO Recruitment 2018.